A Financial Industry Regulatory Authority (FINRA) panel has found that ex-Royal Alliance Associates broker stole money from Cathy Carter, a 54-year-old widow suffering from a brain injury. Former broker Gary Basralian has already pleaded guilty to defrauding clients of at least $2M and using the funds on himself. Now, FINRA has announced two awards holding Royal Alliance and its former broker liable for the fraud. The self-regulatory authority is ordering both of them to pay the widow $2.1M and $500K for legal fees each. Basralian resigned from Royal Alliance in 2017. FINRA barred him from the securities industry last March. Two other investor fraud claims against the former Royall Alliance broker remain pending. Basralian alleged victims were reportedly mainly older women with disabilities. Meantime, the broker-dealer is accused of lax supervision and inadequate anti-money laundering compliance that purportedly allowed Basralian to defraud his clients. According to the US Justice Department, Basralian pleaded guilty to wire fraud and investment adviser fraud. He defrauded his victims for over a 10-year period, falsely claiming he would invest their money when in reality he misappropriated their funds. Basralian’s BrokerCheck record indicates that previous to working for Royal Alliance, where he was employed for almost 18 years, he was with Integrated Resources Equity, WZW Financial Services, Cornerstone Financial Services, KCF Insurance Agency, American General Capital Planning, and First Investors. Meantime, Royal Alliance’s BrokerCheck record notes 73 disclosures. 37 of these are regulatory events and 29 of them are arbitration-related. 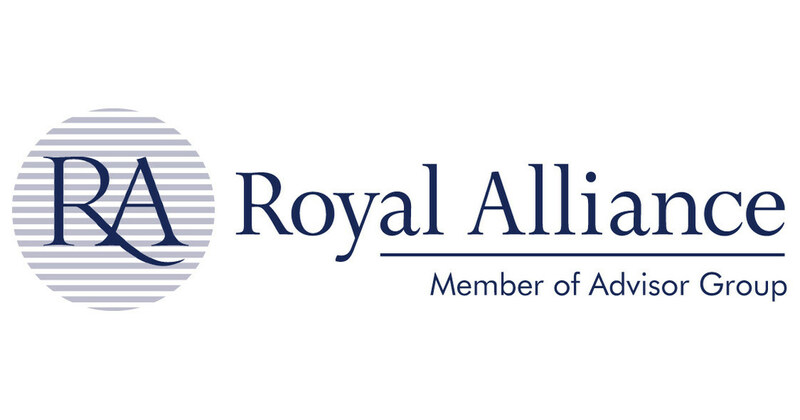 Previous allegations against Royal Alliance have been numerous, including inadequate supervision including such that broker fraud occurred, inadequate policies, procedures, and training related to variable annuities, disadvantaging certain mutual fund customers by not applying sales charge waivers when applicable, inaccurate accounting of investment advisory fees, municipal bond markups, and other claims. Another former Royall Alliance financial adviser to recently plead guilty to criminal fraud was Kimberly Kitts. In November, Kitts pleaded guilty to wire fraud, investment adviser fraud, and aggravated identify theft related to the misappropriating of over $3M from clients’ retirement and investment accounts. The US Securities and Exchange Commission, meantime, filed a parallel civil case against Kitts accusing her of forging clients’ signatures on variable annuity withdrawal requests and so she could wire money out of their brokerage accounts. She also allegedly mislead them about how their money would be used. The regulator accused Kitts of engaging in 82 unauthorized transactions to defraud seven clients and using the funds to pay for her own expenses, including luxury cars and vacations. Our broker fraud lawyers have spent the last several decades representing investors that have lost money due to wrongful or negligent acts committed by brokers. We also have gone up against the largest brokerage firms on Wall Street due to their inadequate supervision that allowed clients to be defrauded by their financial representatives. Shepherd Smith Edwards and Kantas, LLP (SSEK Law Firm) has a team of experienced older investor fraud lawyers on staff that are here to help elderly investors, as well as other vulnerable investors—including investors with disabilities or serious illnesses—in pursuing their broker fraud claim. If you were a client of Mr. Basralian, Ms. Kitts, or any other Royal Alliance broker and you believe your investment losses may be due to fraud or negligence, contact our brokerage firm misconduct attorneys today.